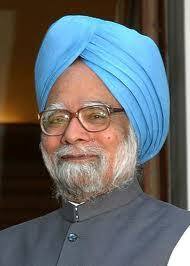 Guwahati, May 30 : The Assam assembly is set to elect Prime Minister Manmohan Singh on Thursday for his fifth straight term in the Rajya Sabha. He has been representing the Upper House from Assam since 1991. The election follows a week of dissension within the Congress over the nomination of Shantius Kujur, a lesser-known Adivasi party activist, for the second Rajya Sabha seat to fall vacant in Assam after June 14. The ruling Congress played down the trouble. But Assam parliamentary affairs minister Nilamani Sen Deka said a three-line whip would be issued to all party legislators to ensure 100% turnout. The Congress has 79 legislators in the 126-member assembly. Singh and Kujur also have the support of 12 MLAs of the Bodoland People’s Front (BPF), the Congress’ alliance partner, two Independents and the lone Trinamool Congress legislator. With the Asom Gana Parishad (nine MLAs) and BJP (five MLAs) having decided to abstain from voting, the Prime Minister and Kujur need 38 votes each to win. The pro-Muslim All India United Democratic Front has fielded its general secretary, Aminul Islam, but the party has only 18 legislators. “All the Congress and BPF legislators will be divided into two groups for casting their votes,” Deka said. The Congress Legislature Party strategy entails 49 votes for first-candidate Singh and 45 for second-candidate Kujur. Earlier this month, the Prime Minister’s nomination attracted criticism for an age mismatch. The nomination papers were resubmitted with his age changed from 82 years to 80 years.